Are Smart Thermostats Worth It? - Which? How much can you save on your energy bills with a smart thermostat, and how long will it take to pay for itself? Our research reveals all. There are several factors that will affect whether installing a smart thermostat will definitely save you money on your heating bills. This includes which smart heating control you choose to install, and how you take advantage of the different features it offers. It will also depend on how well insulated your property is, and what type of boiler system you use. Below, we have outlined the sort of consumers that are more likely to save money with smart thermostats, and those who are unlikely to benefit as much. Once you've worked out which you are, take a look at our smart thermostat reviews. Tech-savvy smartphone or computer users, who are comfortable using apps. 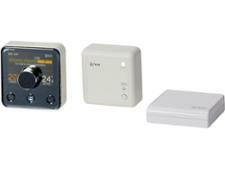 Those with a busy lifestyle, who want to be able to programme their thermostat on the go. If you have a regular routine, some smart heating controls, such as Nest, can learn your routine and ensure your home is always warm when it needs to be. Those who are likely to stay in the same property for several years, as they can recoup the cost of installation through savings on their heating bill. Who probably won't save money with a smart thermostat? Those that are generally quite forgetful, as they may forget to use the app to remotely switch their heating on or off. Non-smartphone or computer users. 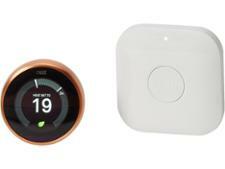 Although you could opt for a learning thermostat, such as Nest, that can remember your routine. People that are planning on moving within the next year or two, as they may not have time to recoup the cost of installing the smart heating control through savings on their heating bills. If you have a poorly insulated property. 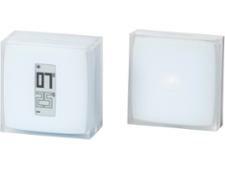 It is a better idea to start by improving the energy efficiency of the property before installing a smart heating control. If you want to save money, we recommend you ensure your property is properly insulated. You should also make sure you are getting the best deal on your energy bills - see how much money you can save by using our price comparison site, Which? Switch, to find the cheapest energy deal. How long will a smart thermostat take to pay back? Many smart thermostat manufacturers spell out how much money you can expect to save after installation. For instance, Tado says that its smart thermostat ‘will pay for itself within a year’ by reducing your heating bills by up to 31%. Netatmo claims that its smart thermostat will reduce the energy you use by 37%. And British Gas says that its Hive smart thermostat could save you up to £130 a year on your energy bills. But all these estimates assume that, before you started using the smart thermostat, you left your heating set to maintain a constant temperature during the day. So if you already turn the heating off when you leave your home, you're unlikely to save as much as the manufacturers claim. A study carried out for British Gas states that the energy savings you achieve with the Hive would be much smaller if you previously only had the heating on for part of the day. It also reveals that in a scenario where the heating was previously just on for a few hours a day on weekdays, switching to Hive's default schedule would actually cause you to use more energy. In short, be wary of the big headline savings claims made by smart thermostat companies. Unless you're in the habit of leaving the heating on while you're out of the house, the savings you make aren't going to be large enough to save you hundreds of pounds a year.